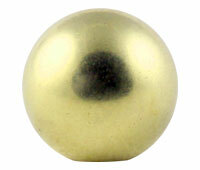 Hypoallergenic gold PVD titanium screw-on balls in 1.6mm/14 gauge. Gold PVD titanium looks like gold in colour only. If you are allergic to gold it is a great alternative. 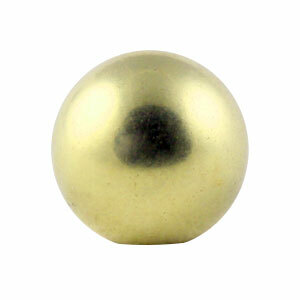 i couldn't find these gold pvd balls anywhere, I emailed serenity and they not only ordered them in for me but emailed me to tell they were on the website and ready for me to order. I ordered the same evening. these gold pvd balls have transformed my surface jewellery. I will always use serenity as my first port of call if I need any body jewellery. Gold PVD titanium has a coating of Zirconium Nitride (ZrN) applied using physical vapour deposition (PVD) to create a hypoallergenic, long-lasting gold colour without using any actual gold.